Looking for high quality rain gutter installation in Vinings, GA? Look no further than Affordable Gutters Plus, LLC! You get quality rain gutter installation for your house with our full roofing and gutter services. To help you rest easy, we endeavor to give you rain gutter installations that will last you as long as you own your house. Our contractors are skilled experts who are licensed to offer you the best craftsmanship and customer service around. For all of your rain gutter installation questions, we are just a call away. For the best service in town and rain gutter installation in Vinings, GA, give Affordable Gutters Plus, LLC a call today at 770-735-4433. Leaf Guard Gutters: Installing leaf guard gutters in your house can stop clogged gutters. Roof Drainage Repair: A small portion of having your gutter system run correctly is having roofing drainage repair when needed. 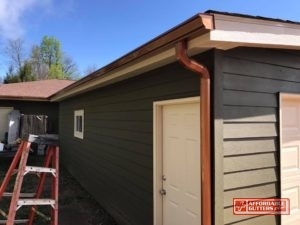 Seamless Rain Gutters: Excellent installation of your seamless rain gutters from Affordable Gutters Plus, LLC means you get a system that won’t crack and leak, providing you with defense against water damage. Squirrel Deterrent Flashing: Squirrel deterrent flashing offers your home a solution to prevent pests from chewing through your roofing, causing big issues like water damage and leaks. Receive these and many of the other services you require for your home. Storms, hail and winds are prevented from damaging your home by your roof system. Installing a quality gutter system can defend your roofing from unexpected damage caused by water, increasing its protection. 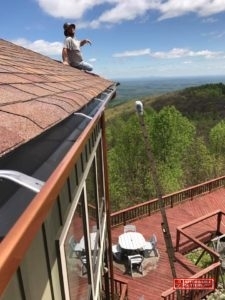 Give us a call today at 770-735-4433 to talk with one of our contractors about your house’s roof or rain gutter installation in Vinings, GA.
With the big investment it is to own a house, you anticipate that you will be able to live in for a lifetime. 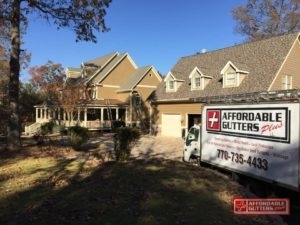 With Affordable Gutters Plus, LLC, you receive contractors that understand your specifications and aim to supply you with gutters that will last as long as you possess your home. We are licensed to install, repair, and replace your home’s roof and gutters. You get superior customer service and quality workmanship around with your roofing and rain gutter installation. Give Affordable Gutters Plus, LLC a call today to speak with an expert about beginning your rain gutter installation: 770-735-4433.